humanity | The Growing Stone of Hope! Each Click makes a difference! I hope all of you are doing well and your life has become better and better. It has been a very long time that we posted an upadate on our blogs. You know that we have been searching for a nice place to establish “The Growing Stone of Hope”. Unfortunaetly, the mayors we contacted around Frankfurt do not want to support our project. That is a pitty but not an end. Now we are looking for a garden we need to pay for. That was not the initial idea but it is a way to continue the project. As soon as we fixed the place we will let you know and provide some new pictures. When we have the place secured we need to count all the stones that are missing….yeah over 32000 STONES. Please have a look at our brand new Supporting Card (Business Cards) – If you want – you can print them as well and share them with your friends. The more people know about TGSH – the better. I know this is a short update but it is better than nothing …. The Growing Stone of Hope Couple! we have more than 22916 clicks / Stones of Hope!!! That is fantastic! We just created a new video to explain our project again. Have a look at it and let us know what you think of it. It is nothing fancy. We just tried to explain the idea and goal behind TGSH. We hope it makes sense! Thank you so much for your continuing support! You are AWESOME! Categories The next stones are added! 813 Stones of 100% HOPE! we hope you are enjoying the day and having a good time. We added more than 201 stones of 100% real HOPE! Let’s start right away: Please let us know your favorite color. The color that will be posted the most will be the color of the next added stones of hope. We are eager to see your comments / color suggestions. 612 Stones of REAL HOPE! Can you feel it?! In our new trailer http://youtu.be/nOzTnayEgy0 we are emphazising that you can change the world with ONE CLICK – (hopefully it will become true) – furthermore we want to accentuate that this one click that you made and hopefully many people will make – is not just a click with a mouse but it also makes a click in our “Heart” and in our “Mind“. With the click on this video we realize what we can reach when we all work together for a very good cause. My feeling is (each time I click on the video) happiness and I am imagining thousands of little sweet smiling children dancing and singing all around their new school. > and that just because of one click – so in our eyes a click is not just a click anymore – much more than that – a click has the ability to change the whole world, change people’s focus, feelings and mindset. 2014 what a great START! 481 Hope Stones! “The Growing Stone of Hope” had a great start into the new year 2014. We added 92 Stones of Hope in less than 12 days. That’s pretty nice and we reached such a progress just because of YOU! Due to such a success we created a special artwork. Hopefully one day this “Flag” will wave above the building that we will establish as soon as we received the huge donation. 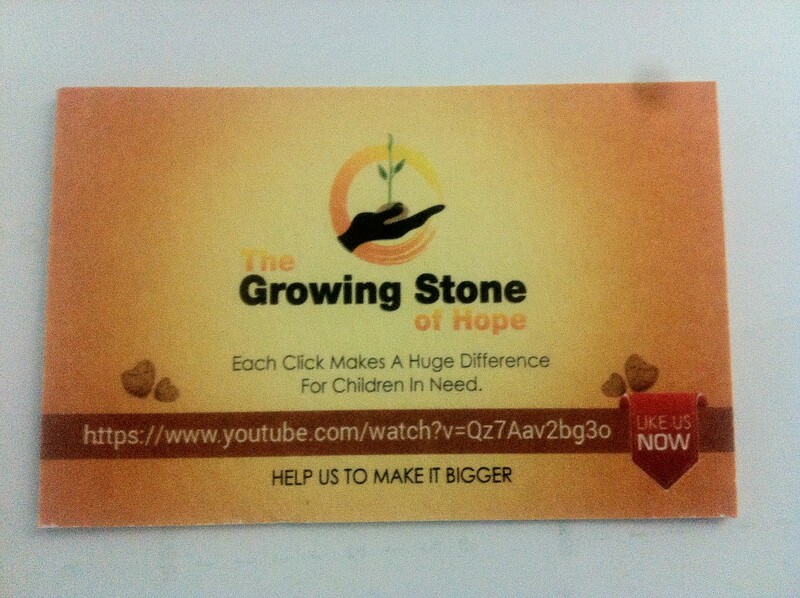 If you want to send us your artwork for “The Growing Stone of Hope” as a picture then don’t hesitate. We will be more than happy to post them on our site, twitter, fb, pinterest, etc.! Actually that would be really cool. If you have any idea to increase the attention for “The Growing Stone of Hope” – just let us know – we are eager to try new media channels / new strategies. Please take care and follow your special dream! 20 New HOPE STONES – TGSH Never Sleeps! If we keep on moving towards our destination in such a pace than it will take an eternity to establish what we are planning. Due to that fact we came up with some interesting ideas that will pep up “The Growing Stone of Hope” a bit to increase the brand awareness. So I can assure you that in a very short time you will be able to become a huge influencer of TGSH. Its going to be beautiful! Today we are proudly counting 365 Hope Stones – that means that 365 people have seen our very short video. If you have seen the video – THANK YOU – You are always welcome to watch it again and again. Remember each click on the original video – is another Hope Stone ! Stay tuned – and thank you very much for your amazing support – we realized your recommendations a lot! 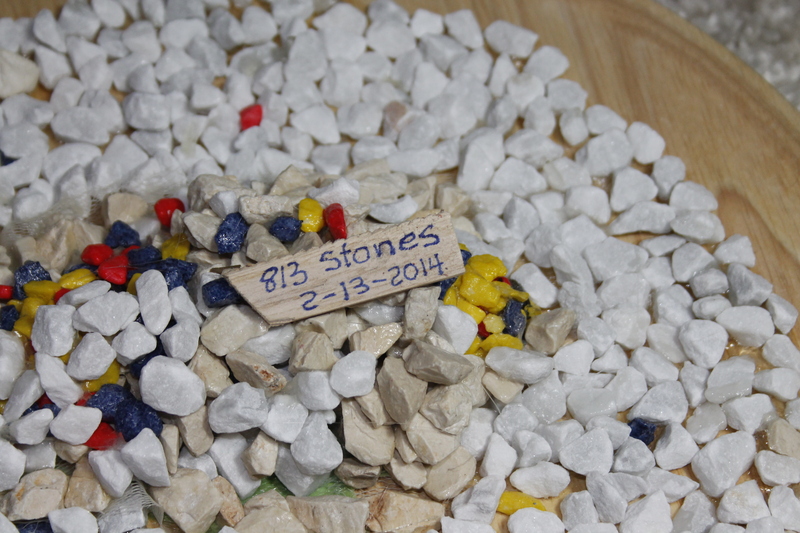 193 Growing Stone of Hope > We added 85 new STONES !!! WOW – YEAH ! If you have special wishes for example a special stone colour or anything else pls let us know. We are eager to insert your desired colour on top of the growing stone. As soon as “The Growing Stone of Hope” has many more supporters we will post an address where you can send your own stones which should be added in future. We want that you really become a part of this project and thats why we soon we would like to receive your ideas, stones, maybe even videos saying how much you like this project. 108 Stones!!! The Growing Stone of Hope has 3 digits now! thank you very much for liking our posts but pls even share your LOVE through FB, TWITTER & PINTEREST. Pls remember > you are the ones that make the difference here! 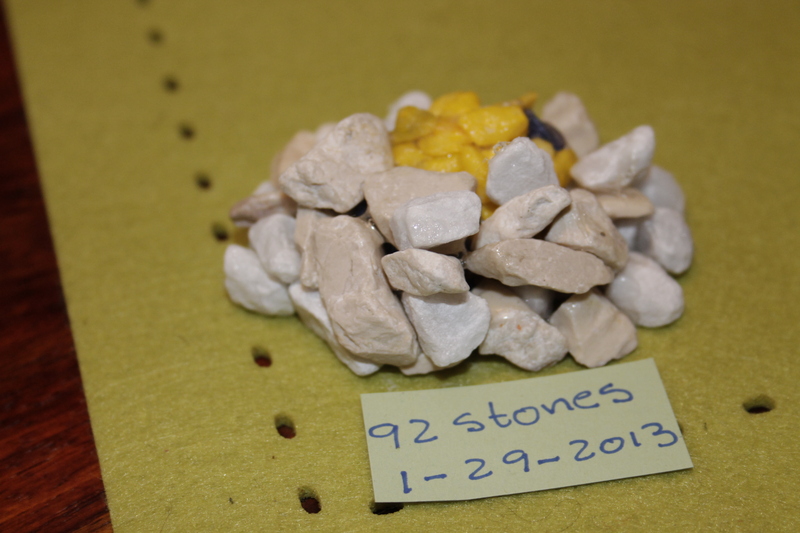 92 Stones “The Growing Stone of Hope” is getting in shape! “The Growing Stone of Hope” is still waiting for a huge Turbo that will make him grow faster. This time we added 20 beautiful new hope stones. Have a look at it and let us know what you think about it now. P.S. : I have to say this project give us personally a lot of hope as well. It is really nice to think of the stone and to think about oneself. Thus, I just want to let you know that this stone is REALLY transmitting / projecting HOPE! 7 days passed since we started this project called “The Growing Stone of Hope”. The idea in short is that thousands of people click on the original Youtube Video and we add for each click a stone to the other ones. As soon as the stone is unbelievable huge we will sell “The Growing Stone of Hope” and donate the money to people in need. We are pretty happy that we already reached a bunch of people in such a short time but we know we can do better. We can do much better with your support as well. Do us a favour and Facebook / Like our project and let people in Facebook know about it. We believe that we can reach many more supporters through facebook than through another social media channel. We would be glad if you make the difference and click even a couple of times again on the video to promote it the right way. Furthermore, we are happy to read your comments on our project. 1 click on the picture & we add a stone for you! Just click! Make a difference with just a click! The next stones are added! A compendium of my various art styles and media. Fantasy & Romance Book | Excerpts & Teasers Galore!